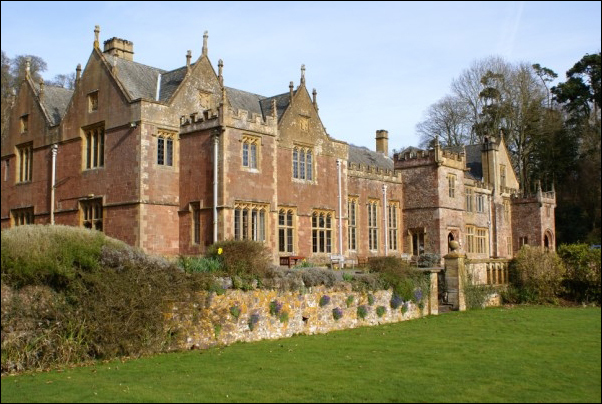 Hilary James and I will be hosting mandolin and vocal workshops over Easter Weekend, 25-27th March 2016 in the beautiful setting of Halsway Manor in Somerset. We'll also be giving a concert on the Saturday evening. The venue were obliged (through no fault of their own) to reschedule this from January, so some places have unexpectedly become available.The mandolin workshop is suitable for players of all levels and involves both solo pieces and ensemble playing (with easy parts for beginners) as well as lots of technique talk from me. Above all, it's a fantastic chance to meet like-minded people. The food's good, too! You might also like to visit my blog to see Hilary James' sketches from last year's weekend at Halsway. Welcome to the 2016 Mandolin Weekend, or if you came last year, welcome back. Here's a link to download a zipped folder of music. There may seem like a huge amount of music here. Please don't be daunted! Last year I thought I had probably over-prepared, but was surprised that we got through so many tunes. They're in standard notation and tablature, apart from bass lines for those who can use them (I assume you can read bass clef). 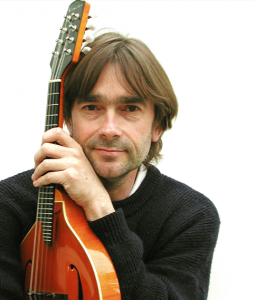 If you're bringing a mandola, octave mandolin, mandocello or something similar and would like tunes or parts in a particular clef, transposing or not, or indeed if you have any other question please contact me and I'll do my best to oblige. Don't in any way think that you need to learn all these before you come. The weekend is above all meant to be a fun, relaxing time, and the amount of preparation you put in is entirely up to you - there will be no exam! Having said that, I think last year we were all delighted at what a decent sounding mandolin orchestra we had by 4.00pm on the Sunday. Some tunes are solo pieces, some are arranged in parts. I've got the computer to disgorge an MP3 file to give you a rough idea of what they'll sound like when we play them. My computer doesn't have a mandolin sample, so I've used a guitar or piano sound. An extra feature this year is that Hilary James will be giving a vocal workshop the same weekend and we hope to 'marry' the two groups at some point, so you'll find orchestrated parts to a couple of songs within the download folder. In the orchestrated pieces, I've tried to make at least one part easy for the benefit of the less experienced players. Like last time, you can choose what part you want to play, and switch around. It would be good if everyone could have a go at the melody line at some point. By the way, the repertoire this year is completely different from last. We'll be doing a lot of playing, but like last time I'll be talking about technique too. I'm very happy if you want to make audio recordings of the sessions. It would be a good idea to carry some spare strings and a plectrum. Last year we managed to make time for a walk up the hill behind Halsway Manor, so you may like to bring some boots too. Very much looking forward to seeing you!